Nintendo of Europe is now offering a collection of lovely iPhone cases through its My Nintendo store. 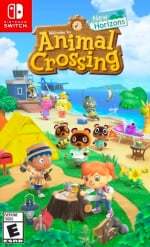 Designs for both Splatoon and Animal Crossing are featured. The cases are available in most European countries although the UK has been left out (the Nintendo Life office is not a happy place right now). The Splatoon ones will cost you 29.99€ before shipping, with the Animal Crossing ones being slightly cheaper at 24.99€. You can access your country's store by clicking on the links in the tweets below. 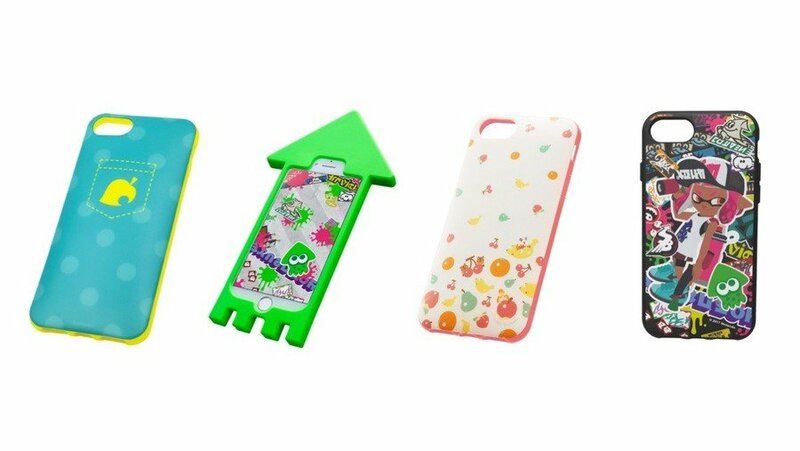 Available in limited supply, these My Nintendo Store-exclusive silicon cases give your iPhone the same squid-like shape as the Inklings' phones in #Splatoon2! If you prefer something a little less squid-shaped, there's one for you too! The products are compatible with iPhone models 8, 7, 6S and 6, and feature Japanese packaging. 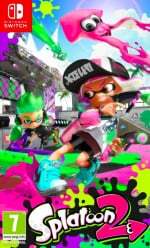 We particularly like how the Splatoon ones are just like the phones used by Inklings in-game. A nice touch! Will you be scrolling through your favourite Nintendo site *ahem* in style with one of these cases? Would you like to see them become available for more smartphone models? Tell us below. I want the skin for Nintendo machines but not for my smartphone. Why was the UK left out yet again? I see Nintendo is confused too, We are leaving the EU not Europe. A bunch of silicon iPhone cases for €25/30? Come on, they shouldn't cost anywhere near that much. What's the point of a My Nintendo store that uses real money in lieu of your gold points anyway? I know there's the 1/3/5 denomination discount you can get on the Switch NES controllers using gold points, but still. Would like them for my non-apple phones too, but at that price, they can keep them. I was about to be outraged because they weren't available in the UK but only for iPhone 6, 7 or 8 phones? Ugh. How is that squid case going to fit in your pocket? @dew12333 I think its more to do with how Brexit goes down. If we leave without a deal on April 12th then there could be a lot of different issues with posting a product from within the EU out to the UK. Probably easier to just leave the UK out of things until things are worked out. I wonder if Nintendo will have to eventually set up a UK office? I'm not sure how practical that squid case is. Still rockin' my 5S, and will do so until it crashes and burns. Phones are so expensive. Sigh. No, I don't use iphones. Overpriced tech with a bad OS. My opinion, of course. @dew12333 I think you are mistaken. I heard that the UK was gearing up to just sail away from europe and join their old colonies as a new American nation. Its supposed to park just east of Canada. Thanks a lot, Brexit voters. What about the US? And iPhone X/Xr/Xs variants? As impractical as it is I’d jump all over the squidphone case. No UK? I was going to buy at least 2! Its pretty cool that you can make your phone look like its from the Splatoon universe, but it’s highly impractical. No Plus support? Pity, I probably would have bought the fruity Animal Crossing one for my phone if they supported the larger sizes. Not that I could these anyway, I'm in Canada. But come on, why are these only supporting older iPhone models. I understand the iPhone 8 and 7...but the 6? Come on. Most people with older iPhones have upgraded to the iPhone X/XS/XS Max. Why no Splatoon love for those models? Seriously, when did Europe start getting better things than America? Europe is supposed to get the left over scraps. This is not the first time the EU My Nintendo shop has gotten real, physical products, that never showed up in America. In fact, this is like the third time, and I'm getting fed up with it. Limited phone model support and no UK? I almost got jealous an American until I remember I just ditch my heavily degraded iPhone 6 for a Galaxy S10+ so it wouldn't matter anyway.